I have finished the paintings for my client. She has seen them and approves. Now I will have them framed. 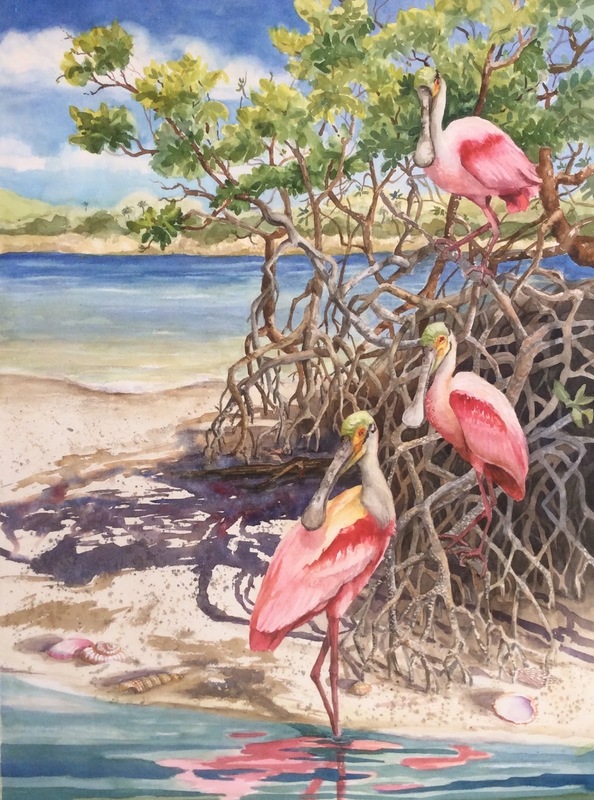 Here are the final versions of Flamingos and Roseate Spoonbills. 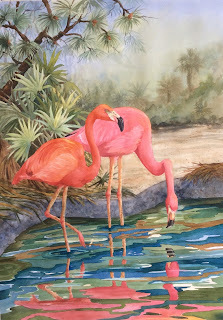 I did repaint the Flamingos. 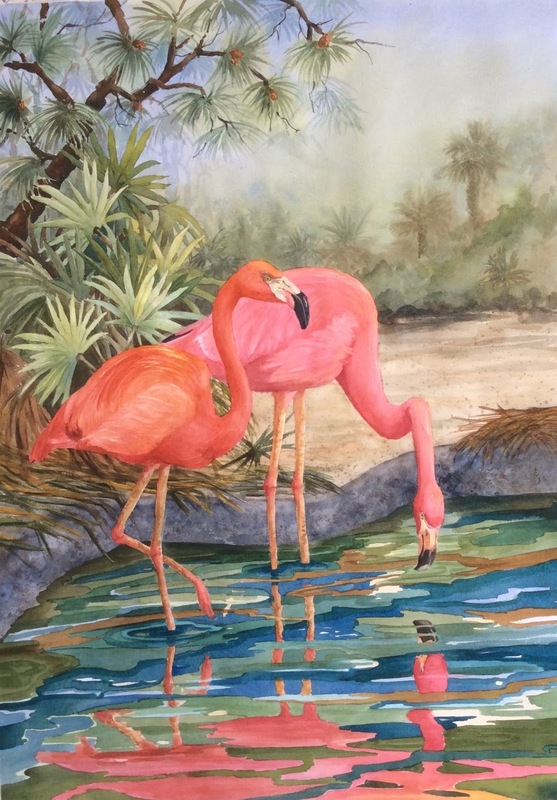 The background palmetto palms are much more natural now.